One of the most important decisions of the council took place in 208 AD, when a civil war broke out and the Mehestan decided that the empire would be ruled by two brothers simultaneously, Ardavan V and Blash V.  In 224 AD, following the dissolve of the Parthian empire, after over 470 years, the Mahestan council came to an end. It was created by the Iran Constitution of 1906 and first convened on 7 October 1906 (Iranian Calendar: 1285-Mehr-13),  soon gaining power under the rule of the Shah Mohammad Reza Pahlavi. Noteworthy bills passed by the Parliament under the Pahlavi Dynasty include the Oil Nationalization Bill (15 March 1951) and the Family Protection Law (1967), which gave women many basic rights such as custody of children in the case of divorce. The last session of the Pre-Revolution Parliament was held on 7 February 1979 (18 Bahman 1357 AP  ). On 7 June 2017, there was shooting at the Iranian parliament and at the shrine of Ayatollah Khomeini. Gunmen opened fire at the Iranian Parliament and the mausoleum of religious leader Ayatollah Khomeini in Tehran. The attack on the mausoleum has reportedly left 17 persons dead and more than 30 people injured. The parliament was attacked by four gunmen which left seven to eight people injured. Both attacks took place around the same time and appear to have been coordinated. Currently, there are 290 members of Parliament, fourteen of whom represent non-Muslim religious minorities (4.8%), and are popularly elected for four-year terms. About 8% of the Parliament are women, while the global average is 13%. The Parliament can force the dismissal of cabinet ministers through no-confidence votes and can impeach the president for misconduct in office. Although the executive proposes most new laws, individual deputies of the Parliament also may introduce legislation. Deputies also may propose amendments to bills being debated. The Parliament also drafts legislation, ratifies international treaties, and approves the national budget. The Guardian Council of the Constitution is an appointed and constitutionally mandated 12-member council that wields considerable power and influence in the Islamic Republic of Iran. The Expediency Discernment Council of the System is an administrative assembly appointed by the Supreme Leader and was created upon the revision to the Constitution of the Islamic Republic of Iran on 6 February 1988. It was originally set up to resolve differences or conflicts between the Majlis and the Guardian Council, but "its true power lies more in its advisory role to the Supreme Leader." According to Hooman Majd, the Leader "delegated some of his own authority to the council — granting it supervisory powers over all branches of the government" following President Mahmoud Ahmadinejad's election in 2005. Mohammad-Reza Bahonar is an Iranian principlist politician who was member of the Parliament of Iran for 28 years. He is also secretary general of Islamic Society of Engineers and the Front of Followers of the Line of the Imam and the Leader. He currently serves as a member of the Expediency Discernment Council. Ahmad Tavakkoli is an Iranian conservative populist politician, journalist and anti-corruption activist. He is currently managing-director of Alef news website and founder of the corruption watchdog, non-governmental organization Justice and Transparency Watch. Parliamentary elections were held in Iran on 18 February 2000, with a second round on 5 May. The result was a solid victory for 2nd of Khordad Front and its allies, the reformist supporters of President Mohammad Khatami. Parliamentary elections were held in Iran on 8 April 1988, with a second round on 13 May. The result was a victory for leftist politicians who later emerged as reformists. The number of clerics elected to the Majlis was reduced by over a third. This is a summary of the electoral history of Akbar Hashemi Rafsanjani, an Iranian politician who was member of Assembly of Experts from Tehran Province since 1982 and Chairman of the Expediency Discernment Council since 1989, and has been previously Chairman of the Assembly of Experts (2007–2011), President of Iran (1989–1997), and The Speaker and member of Islamic Consultative Assembly (1980–1989) from Tehran and Minister of Interior (1979–1980). This is a summary of the electoral history of Hassan Rouhani, an Iranian politician who is currently President of Iran since 2013 and member of the Assembly of Experts from Tehran Province since 2000. He was previously member of the Islamic Consultative Assembly (1980-2000). Fatemeh Rakeei is an Iranian politician, linguist, poet and Alzahra University faculty. Rakei was born in Zanjan, Zanjan Province. She was a member of the 6th Islamic Consultative Assembly from the electorate of Tehran. Now she is the secretary-general of population Muslim women modernity. Ahmad Hakimipour is an Iranian reformist politician and former militant. The Council for Coordinating the Reforms Front or the Reformist Front Coordination Council is the umbrella organization, coalition and council of main political groups within the Iranian reform movement. Since 2015, it is overseen by the Reformists' Supreme Council for Policymaking. This is a summary of the electoral history of Gholam-Ali Haddad-Adel, an Iranian Principlist politician who has been a member of Parliament of Iran since 2000 and was Speakers of the Parliament of Iran from 2004 to 2008. Elaheh Rastgou is an Iranian conservative-minded reformist politician who is currently an outgoing member of City Council of Tehran. She was formerly a Member of Parliament. Soheila Jolodarzadeh is an Iranian reformist politician and a member of the Parliament of Iran representing Tehran, Rey, Shemiranat and Eslamshahr electoral district. Jolodarzadeh is the first woman to be elected as a ″Secretary of the Board of Parliament of Iran″ in the history of Islamic Republic. The Iranian Parliament Committee on Economic, or Economic Committee is a standing committee of the Islamic Consultative Assembly of Representatives. The Parliament Committee on Economic has general economic, and it can recommend funding appropriations for various governmental agencies, programs, and activities, as defined by House rules. in the 9th parliament; Arsalan Fathipour was president, Mohammad Hassannejad first deputy and Rohollah Beighi second deputy. The Iranian Parliament Committee on Energy, or Energy Committee is a standing committee of the Islamic Consultative Assembly of Representatives. The Parliament Committee on Energy has general Oil, gas, electricity, water and electric dams and power plants, nuclear power and renewable energy and it can recommend funding appropriations for various governmental agencies, programs, and activities, as defined by House rules. 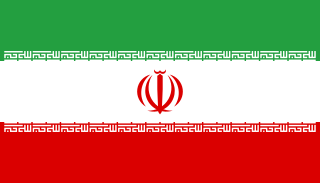 The Government of the Islamic Republic of Iran is the ruling state and current political system in Iran, in power since the revolution and fall of Pahlavi dynasty in 1979. 1 2 3 4 Nohlen, Dieter; Grotz, Florian; Hartmann, Christof (2001). "Iran". Elections in Asia: A Data Handbook. I. Oxford University Press. p. 64. ISBN 0-19-924958-X. ↑ "Parthians' Achievements" . Retrieved 1 January 2019. ↑ "مهستان" . Retrieved 1 January 2019. 1 2 Mohammad Modarresi (2005). "An Introduction to the history of the Legislative Assembly In Iran: The First Parliament of the National Consultative Assembly (آشنایی با تاریخ مجالس قانونگذاری در ایران: دوره اول مجلس شورای ملی)" (PDF) (in Persian). The Research Center of Islamic Consultative Assembly (مرکز پژوهش‌های مجلس شورای اسلامی). Archived from the original (PDF) on 21 June 2007. ↑ "Iran shootings: Parliament and Khomeini shrine attacked". BBC News. 2017-06-07. Retrieved 2017-06-07. ↑ "On Women's Day, struggle for equality remains". Kyiv Post. 8 March 2012. Archived from the original on 1 April 2012. ↑ Central Bank of Iran. Banknotes & Coins: 100 Rials. – Retrieved on 24 March 2009. 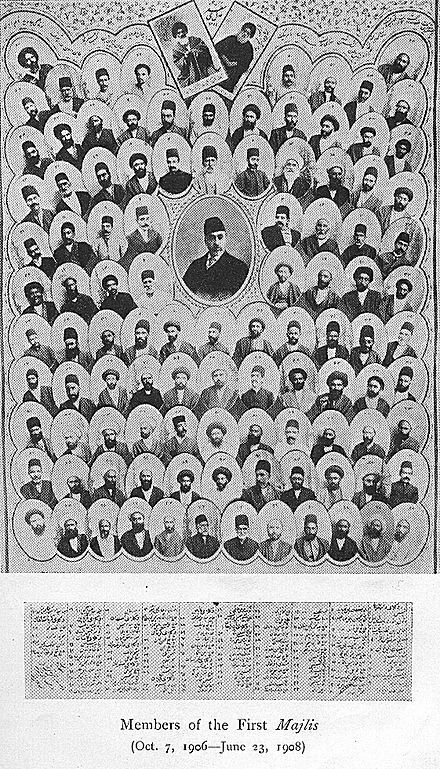 Wikimedia Commons has media related to Islamic Consultative Assembly .